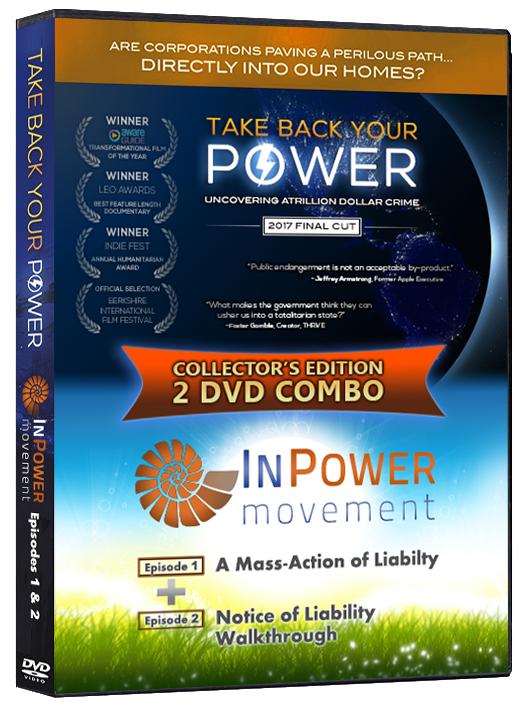 Own this new Collector’s Edition 2-DVD Combo, with a newly updated version of the award-winning documentary that started it all, Take Back Your Power (2017), AND the first 2 episodes of the new InPower Docu-Series (2017). This format (NTSC) is generally for North America, but works in most DVD players worldwide. This version is only in NTSC format, and not PAL. However, NTSC DVDs now play in the majority of DVD players worldwide — and all computers. Not sure about NTSC and PAL formats? See details here. The INPOWER DOCU-SERIES illustrates a powerful new method to restore social justice and accountability. The docu-series, and the InPower Movement, comprise the official sequel to Take Back Your Power. Episode #2 features Cal Washington’s walkthrough of the Notice of Liability, which is the first round of the InPower Liability Action. As each paragraph is explained in detail and within context, the majority of questions about the Notice of Liability are answered in this video. For any participants in the process, this video is a must. The award-winning documentary TAKE BACK YOUR POWER uncovers the shocking story behind why hundreds of local governments and millions of ratepayers are standing against the multi-billion dollar rollout of ‘smart’ utility meters. Take a journey of revelation, examining evidence of in-home surveillance, hundreds of home fires and several fatalities, systemic over-billing, health risks, unprecedented hacking vulnerability, and even extortion. The insightful and even astounding new material in this 2017 Final Cut exposes the agenda behind ‘smart’ meters with crystal clarity. And the way to solution is also opened, as the forthcoming sequel – the InPower Movement – is introduced.